For expert, compassionate care for mental health disorders, turn to The Retreat at Sheppard Pratt. We offer therapies for adults seeking a mental health retreat to recover from depression or other behavioral health conditions. Our doctor-led teams treat adults ages 18 and older who are facing life-changing events. Mental health disorders are complex and require a personalized approach to care. Most of our residents at The Retreat experience more than one disorder (co-occurring disorders), which may lead to addictions. At The Retreat, we have the resources and expertise to provide the highest level of care for people with co-occurring disorders. We provide evidence-based mind and body therapy in the most individualized, compassionate, and comprehensive way possible. 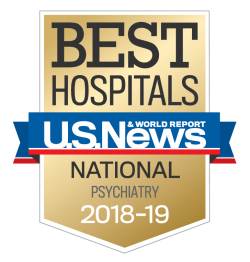 Our residents have frequent access to experienced psychiatrists and other mental health professionals. You or your loved one will have every opportunity to heal and lead a happier, more productive life. We provide intensive, highly personalized care to adults experiencing mental health issues. Residents at The Retreat benefit from an experienced team of mental health professionals and the full resources of the Sheppard Pratt Health System. As a self-pay program, we have the freedom and flexibility to provide the personalized care you and your family need for lasting recovery. As part of the nationally renowned Sheppard Pratt Health System, we provide residents with access to a full range of hospital- and community-based services. While most stays range from several weeks to several months, residents may extend their care at Ruxton House, our transitional living program.